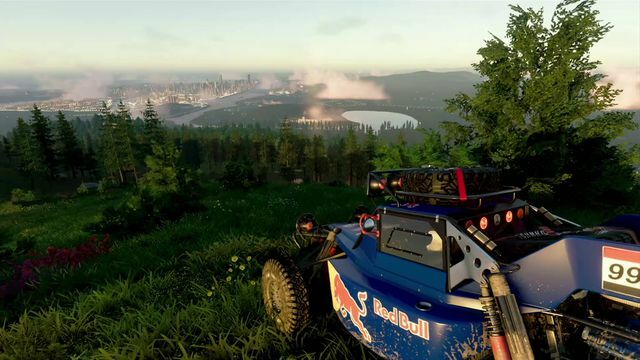 The Crew 2, sequel to Ubisoft's open-world racer from 2014, was revealed at the publisher's E3 keynote with a high concept trailer showing well more than just cars racing. Pretty much anything with an engine is going to race in The Crew 2. Airplanes, dirt bikes, boats and high performance sports cars on closed tracks were shown racing, in addition to the open-world street racing of the original. A subsequent video presentation showed helicopters, shallow-draft boats in lowland rivers and off-road rallying between buggies and motocross bikes. Locales and streetscapes shown included San Francisco, New York City, California’s Big Sur region, and the Southwest. The Crew 2 is coming in early 2018 for PlayStation 4, Windows PC and Xbox One. Its predecessor launched in late 2014 and was enjoyed for the large open world it presented, but disappointed many as an online-only game that suffered from frequent breakdowns and other problems.